What Do You Do With The Bad Days? I just wanted the week to be over and done with. That particular week in January had not been on a good course. It didn’t seem to matter what I said or did because I could not get my week back on track. I felt like a bit player in my own life. It is easy to indulge the pity party when bad days become a bad week. God reminded me that His invitation is always better. One evening, I opened my devotion book to the words that articulated my emotions: frustration and anger over lack of control. God clearly showed me my current state of my mind and then reassured my heart of His presence. God spoke to me when I needed it the most. The very next day, I received a return phone call from someone I left a voicemail with weeks earlier. As part of my ministry work, I often ask to pray with people before we hang up. It is not unusual for me to pray over them. However, it is very unusual for the other person to ask, “How can I pray for you today?” God orchestrated all the details to bring me special encouragement when I needed it the most. I find that sometimes frustrations and fears lose their power when I verbally express them to other people. By admitting what was really bothering me deep down, I gained clarity in the various situations that comprised my bad week. I am thankful for trusted ones that listened without judgement and then faithfully prayed for me. First, I had to be honest enough about my own failings and insecurities to ask others for help. God provided fellowship with other Christians when I needed it the most. I was glad that difficult week came to an end and I had a clean slate for the new week. As much as I wanted to forget about the bad week, I couldn’t. I realized that the week served a good purpose. God reminded me that He is active in every aspect of my life and responds with nudges to look up to Him. I can count on those closest to me and even unexpected phone calls from strangers to pray me through the hard times. As I react to bad days with faith, I grow in confidence of God’s will for my life. God showed confirmation of His path when I needed it the most. God leads me through the valleys to the next peak. God’s view helps me appreciate the beauty of the rolling hills behind me and yet in front of me. January’s bad week made me realize what I needed the most: more of God! Every valley shall be raised up, every mountain and hill made low; the rough ground shall become level, the rugged places a plain. And the glory of the LORD will be revealed, and all mankind together will see it. For the mouth of the LORD has spoken. Note: My blogging friend, Annie of Freedomborn suggested that I write a post about superstitions. I accepted the challenge below. Growing up, I can remember going through a short phase of avoiding every crack. “Step on a crack, and break your mother’s back,” was not a superstition I wanted to test. I quickly learned that cracks were everywhere and unavoidable. Friday the 13th didn’t mean much to me until elementary age when my school artwork project disappeared without explanation. The memory that stuck became an enduring example of Friday the 13th bad luck. As a teenager, I can remember reading my horoscope in the newspaper. It was kind of like a game to see how well the predictions described my teenage life and angst growing up in a small town. My husband’s grandmother was a wealth of old wives’ tales. While visiting, I would be gently scolded for doing something that was a source of bad luck. Grams always said it with a smile so I was never quite sure if she was being silly or serious. I meant to write down her many sayings before she passed away, but never did. Family has helped me remember the more common ones Grams shared. “If you forgot something at home and return to retrieve it, you have to go back inside, sit down, and count to ten for good luck before leaving again.” “See a pin, let it lay; you will have bad luck the rest of the day.” “If someone gives you a knife as a gift, you need to pay them (a penny or nickel) to avoid harming the friendship.” The old wives’ tales can feel homey because they remind me of being back at Gram’s house and hearing stories of bygone times. In recent years, a friend and I were catching up while enjoying a local festival. She suggested that we stop at a booth for Tarot card readings. I have to admit that I was curious to see what the fortune teller had in store for my friend. However, my sense of uneasiness was stronger and I declined. A warning from a former pastor’s sermon over 12 years ago came to mind, “If you play with fire, you will get burned.” Besides, I don’t need to pay someone to tell me my future. Revelation, the last book of the Bible, reminds us that God wins and as Christians, we are on the winning team! Jesus already paid the price for my future. To close out 2016, our family experienced a string of bad luck. I broke my favorite Pampered Chef stoneware. A few days later, my husband accidentally ran the microwave without any food inside. To top it off, I discovered that important documents needing to be returned weeks earlier were misplaced in a paper pile. There is no doubt that we had much to do with our year-end bad luck. At this point, I was simply looking forward to 2017 and a clean slate. My favorite quote about bad luck was shared by a nurse when I was diagnosed with breast cancer in 2011. To answer the question “Why me?,” she replied with a quote she heard from a doctor. “Breast cancer can be caused by bad habits, or by bad genes, but mostly, it is bad luck.” It seems that bad luck can affect every aspect of our lives. God repeatedly warns us about idolatry and witchcraft. Do we recognize His warnings in our life? More importantly, do we take His warnings seriously? We should because our Father in heaven truly knows what is best for us. We have an adversary in Satan who will manipulate whatever is handy to take our focus off of God and place it firmly on anything else other than God. Superstitions can start out being silly and quickly become something serious depending on our responses. I choose the blessings of God’s promises over the curses of man’s superstitions. I choose God’s word to guide my life rather than man’s words which lead to chaos. I choose God! Just A Piece of Paper? We were in-town visiting my in-laws in mid-December. There was an appointment to take my mother-in-law to and preparations to be made for a family Christmas party a few days later. We sat down to a Costco dinner when I saw the slip of paper on the kitchen table. It would have been easy to miss in the menagerie of food, dishes, papers, and medicine bottles scattered in front of me. It was just a slip of paper announcing an “Advent Spiral Walk” for that very night in less than an hour. The title caught my eye because I had never heard of an Advent Spiral Walk. I suggested that we check it out. My mother-in-law did not want to go if it was held outside in the cold. I wasn’t sure about driving in the dark in an unfamiliar town. Wouldn’t I rather just stay put and unwind in front of the television for the evening? Still, something tugged at me to go, if simply for the fact that it was nearby and free. Curiosity won out. My in-laws’ church is small, but big on ideas for fresh ways to encounter Jesus. I didn’t know what to expect, but I felt twinges of excitement and anticipation. We entered the church and were greeted by angels. They were the human kind with white robes, tinsel halos and genuine smiles. An angel led us into the sanctuary decked out with greenery, red bows, and lit candles everywhere. A Christmas tree towered over us as the sentinel for the ceramic nativity scene. The Christ family was huddled together in the stable on one side of the room. The wise men were travelling from afar on the opposite side of the sanctuary. The crowd was sparse as the pianist played Christmas carols and the audience sang along. It was the perfect atmosphere to be still and let the rich words of well-known and new-to-me Christmas songs settle deep in my soul. After a while, the angel invited us to the Advent Spiral Walk held in a different part of the church. We walked into a darkened room with the flicker of candlelight outlining the spiral and edges of the room. Pine branches comprised the spiral and beckoned us in. We were given an unlit candle to carry as we began our journey. The Advent Walk was designed to be savored, not rushed. Candlelight guided our path as our eyes, minds, and hearts were illuminated. Each step and each candle were a reminder that Jesus is the Light of the world and in the dark recesses of our hearts. In the center of the spiral, an angel lit our candles and instructed us to place our light on the path. Future spiral-walkers would follow our light just as we were guided by the light of others before us. Just a slip of paper? My answer is no. That piece of paper was an invitation to remember the reason for the season. It was my permission slip to slow down and enjoy the moments leading up to Christmas. 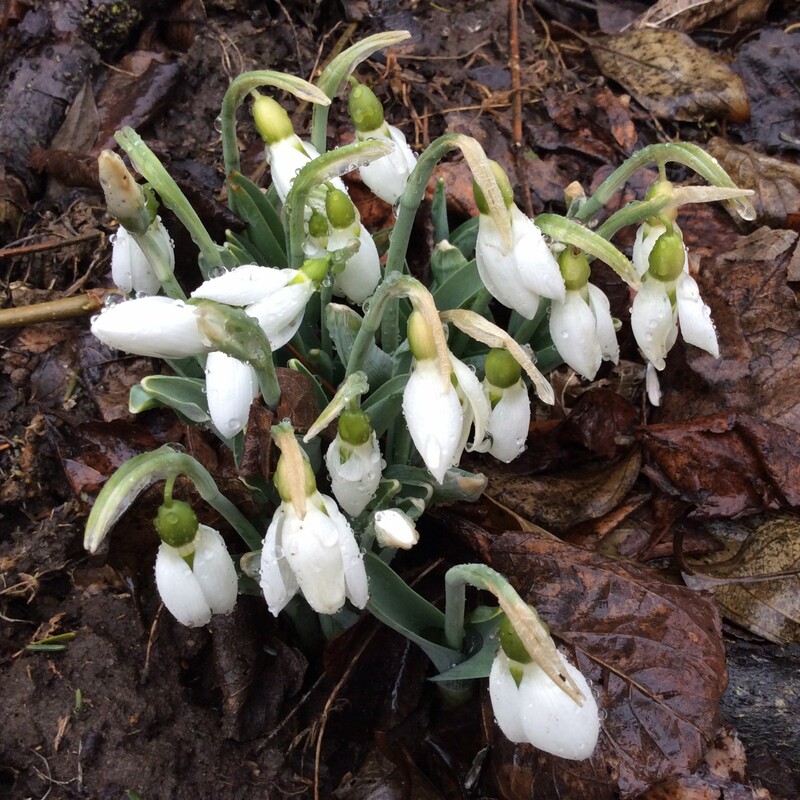 It was an opportunity to reflect and prepare my heart in the midst of a very busy month. The paper was a reminder to experience Christ as I celebrate Christmas. Jesus’s light shouldn’t be obscured by the busyness, presents, baked goodies, cards, shopping, parties, and distractions of achieving that perfect Christmas. Jesus is the perfect gift and the perfect Christmas. Jesus is the Son of God who became flesh so we can personally receive God’s gift of extreme love. Seek the light, be the light, and share the light this Christmas season! Your word is a lamp to my feet and a light for my path. Cucumber leaves and stem removed to show a cucumber tendril wrapped around a dill plant. My husband built a raised-bed vegetable garden for me. I have three eight-foot rectangles of fertile soil. It is the ideal set-up for a small home garden. However, there is one problem. My cucumber plants do not respect the boundaries. Experienced gardeners know that you must allow plenty of space for cucumbers to grow. The plants tend to wander looking for something to grab hold of. Tentacle-like tendrils reach out to wrap around any support they can find. Support is defined simply as what is nearby and easily accessible. This year, the cucumber plants crossed over to an adjacent bed and became entangled in the dill plants. 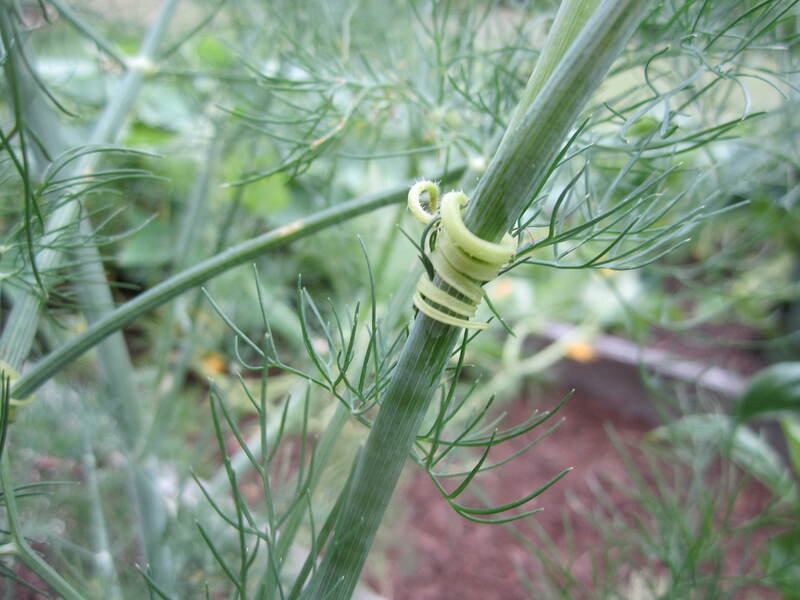 I counted five loops of a single cucumber tendril around one dill stem. The cucumber plant’s tenacity is to hang on as if its life depended on it. Eventually, the cucumber plant took down the dill plant because the dill was not meant to support itself and the cucumber plant. What or who are we entangled with in our lives? Is it simply what is nearby and easily accessible? Does our support hold up over time? Or do we take ourselves and our support down? Time and fruit borne will prove the worthiness of the support we choose. We were never meant to do life alone. We need each other, but more importantly we need God. We can reach out to God knowing that He will never let go of us. He is our sure foundation, refuge, and support for real life that takes us into eternity. God delights in our growth as we entangle our thoughts, hearts, faith, and life around Him. Reach out to God and just try to wrap your mind around all His promises for you. Lean in closer, trusting Him with all of your being as if your life depended on it. (It does!) Jesus Christ on the cross has already proven the worthiness of God’s support for us! What or who are you holding onto instead of God? He will be the sure foundation for your times, a rich store of salvation and wisdom and knowledge; the fear of the LORD is the key to this treasure. So this is what the Sovereign LORD says: “See, I lay a stone in Zion, a tested stone, a precious cornerstone for a sure foundation; the one who trusts will never be dismayed. Have You Made the Call Yet? I have a dear friend with family in the boonies of Georgia. She has shared the challenges of using her cell phone while visiting. Inside the house, she has to open a certain window and lean out to make the call. It is not much better outside as there is only one spot where she can stand and talk. If she steps outside that zone, the call is dropped. Sometimes our communication with God can feel like finding cell phone reception in a holler. We can’t connect. We think we have to jump through hoops to get through to God. If we are lucky enough to connect, we worry about losing that fragile connection. We wonder if God is even listening because oftentimes He can be silent. Or perhaps we can’t hear God because of all the static noise in our lives. I can’t hear God when my focus is on me. I can barely hear God when I’m too busy to pray or spend time in His word. Truth be told, any connection problems I have with God are always on my end of things. 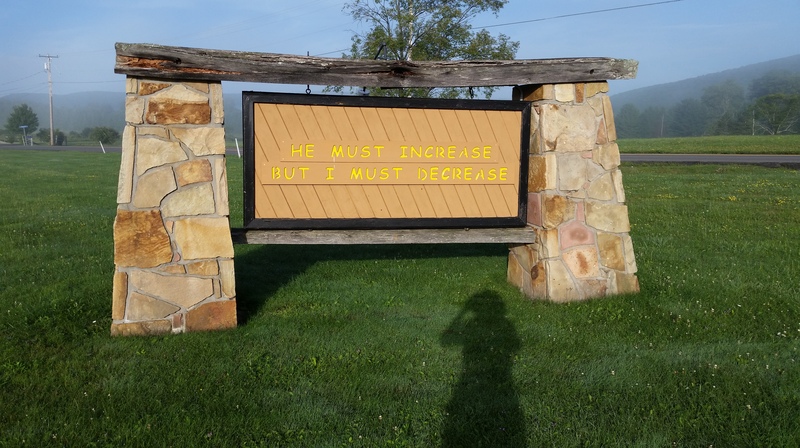 To know God, He must increase in my life. To hear God, He must increase in my life. To live for God, He must increase in my life. There is only one thing I have to do: I must decrease. This is the hoop to jump through and the zone to be in to improve my connection with God. It may feel awkward at first and it can look different from person to person. Closeness with God doesn’t depend on our circumstances. The Holy Spirit provides clarity in communication with God that assures us of a solid connection. There is real excitement and anticipation in hearing God’s voice. We can call on God with confidence that He answers while we are still speaking. I will answer them before they even call to me. While they are still talking about their needs, I will go ahead and answer their prayers! To Stay or To Go? I have a ritual to mark the end of summer. The hummingbird feeder is taken down, cleaned, and packed away until the following spring. I am sorry to see the hummingbirds leave as they entertain me with their antics. However, time marches on and the seasons change what I see outside my kitchen window. It is obvious when the time draws near for the hummingbirds to fly south. There is increased activity at the feeder as the tiny birds tank up for their long trip. Year after year, the last of the stragglers are gone by mid-September. This year was different. Much to my surprise, two female hummingbirds were still visiting my feeder through the end of September and into October. I wondered why. Did the hummingbirds miss the signs to go? Where they left behind by the others? Or were they too comfortable because their immediate needs were being met? Did they choose to stay put? I didn’t know the answers, but I began to pray for my feathered friends to go. If they stayed, they would surely die in this place. The hummingbirds were not meant to stay here for the winter. I can see aspects of my faith journey in those lingering hummingbirds. I have lingered in places when God clearly intended me to go. Do I stay or do I go? The answers to why we stay in one spot can reveal much about our motivations. Are we too comfortable in our current circumstances that we have become complacent in God’s kingdom? Stretching our faith will make us uncomfortable. Do we miss the signs of God’s holy invitation to go because we are too focused on ourselves? Maturing faith will look to God first. Do we stay put because we are worn out with life’s difficulties? Exercising faith will energize us. We are not meant to stay put! We need to go to experience more of God in our lives. Oftentimes, the biggest growth spurts in our faith result when we let go of the present comfort and trust God with the unknown of our future. Grab God’s hand and take flight on an adventure to His place of safety for us! By day the LORD went ahead of them in a pillar of cloud to guide them on their way and by night in a pillar of fire to give them light, so that they could travel by day or night. But Ruth replied, “Don’t urge me to leave you or to turn back from you. Where you go I will go, and where you stay I will stay. Your people will be my people and your God my God.